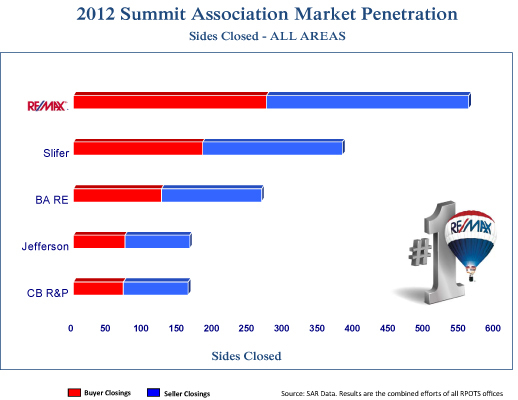 In 2012, RE/MAX of the Summit outsold every other real estate agency in the county with nearly 600 buyer and seller closings out of a total of 1,927 for the year. Summit County home buyers and home sellers rely on us to provide personalized service, along with the most advanced real estate marketing techniques, in order to make the process as stress-free as possible. 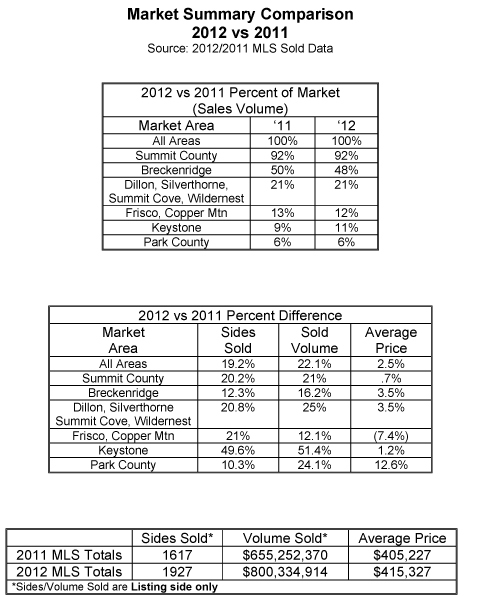 October 2012 was the strongest month for Summit County home sales, with nearly 500 units sold. November, August, September and December were not far behind. 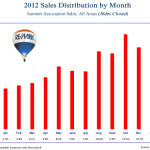 This graph indicates closed sales. 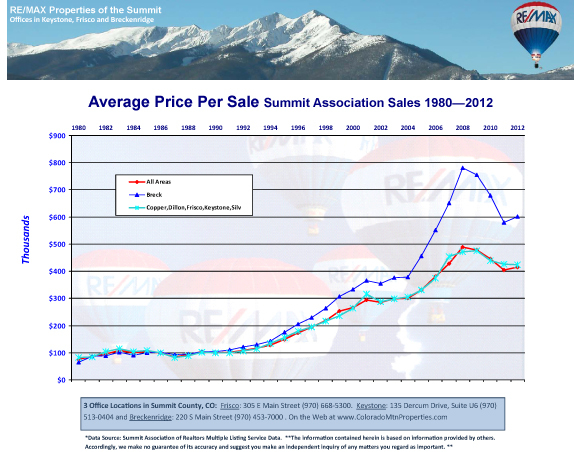 The average price per sale in Breck in 2012 was $600,000; the average price per sale for all of Summit County Real Estate in 2012 was slightly over $400,000. 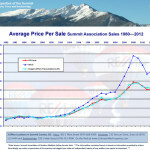 Breckenridge real estate continues to attract the majority of home buyers in Summit County. I attribute this not only to our great skiing, but our four seasons of fun and terrific year-round calendar of events. 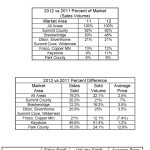 2013 promises to be another strong year for Breckenridge real estate. 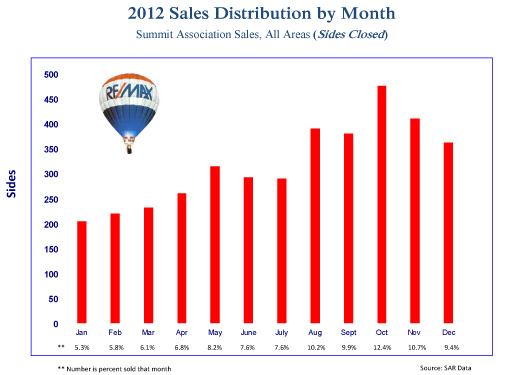 Here at the Kelli Sells Team of RE/MAX of the Summit, we are ready to help you buy or sell. If you are interested in buying or selling a home in Breckenridge, or anywhere in SummitCounty in 2013, please call me at (970) 390-9311 or (970) 453-7000 today.